Christian Dvorak and Michael Grabner scored two goals each to help the Arizona Coyotes inch closer to a playoff spot with a 4-2 win against the visiting Los Angeles Kings on Saturday evening. They were the first goals for both forwards since returning from long-term injuries. 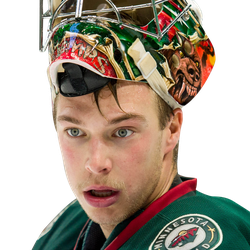 Clayton Keller had two assists and Darcy Kuemper made 34 saves for the Coyotes (34-29-5), who moved within a point of the Minnesota Wild for the second wild card from the Western Conference. 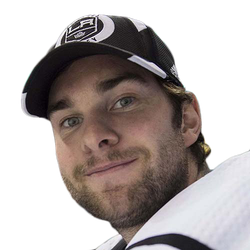 Carl Grundstrom scored in his NHL debut for the Kings (24-36-8), Adrian Kempe also scored, Drew Doughty had two assists and Jack Campbell made 28 saves. Dvorak, a 15-goal scorer the past two seasons, was playing his sixth game since returning from pectoral surgery just before the start of the season. He scored from in front of the net to give the Coyotes a 3-2 lead at 10:28 of the third period. Grabner made it 4-2 on a breakaway with 4:26 left. Grundstrom scored after Kuemper made a save on Derek Forbort from an angle, but the rebound went to the open side of the net. Grundstrom put the puck across the goal line to tie the score 2-2 at 3:44 of the third period. Arizona was midway through their first power play when Coyotes defenseman Jakob Chychrun took a slap shot from just inside the blue line and Dvorak deflected it past Campbell for a 1-0 lead at 7:23 of the first period. Grabner was playing his second game since returning from a 41-game absence due to a severe eye injury. The Coyotes were on the penalty kill when Arizona defenseman Oliver Ekman-Larsson knocked down a shot with his stick and backhanded the puck ahead to Grabner to start a 2-on-1 with Brad Richardson. Grabner elected to shoot and beat Campbell for his seventh goal this season and fifth short-handed, giving the Coyotes a 2-0 lead at 9:30 of the first. It was also the 14th short-handed goal of the season for the Coyotes, tying the franchise record. Kempe scored during a 4-on-4 play to make it 2-1 at 14:49 of the first.